Hula Girl Rocks…. and Jade Rocks! Thanks tons to all our supporters who have been sending congratulations to our team! We really appreciate it. So the awards ceremony was last night here at Kaneohe Yacht Club, and the Hula Girl did pretty well. We won first in class, second in ORR, and the Bill Lee perpetual award. Not too shabby for a bunch of Hulagains that really hadn’t sailed together a couple of weeks ago! So all the bling and hardware is pretty cool, but I have to say I think there was an even better reward for us in Hawaii. Unfortunately the fast race over meant that we beat some friends and family coming to Oahu to meet us, so Jade didn’t get to display the banner she and her mom made for father Chris racing with us upon arrival, but she brought it down to the boat last night and we were proud to display it there! Thanks Jade! And sorry I cut you out of the picture, Chris. She’s just way cuter. You rock, Jade! Ok, that’s it for now. Chris, Brendan, Mike, Andreas, Michael, Steven, Paul and Sean, job well done and Mahalo! 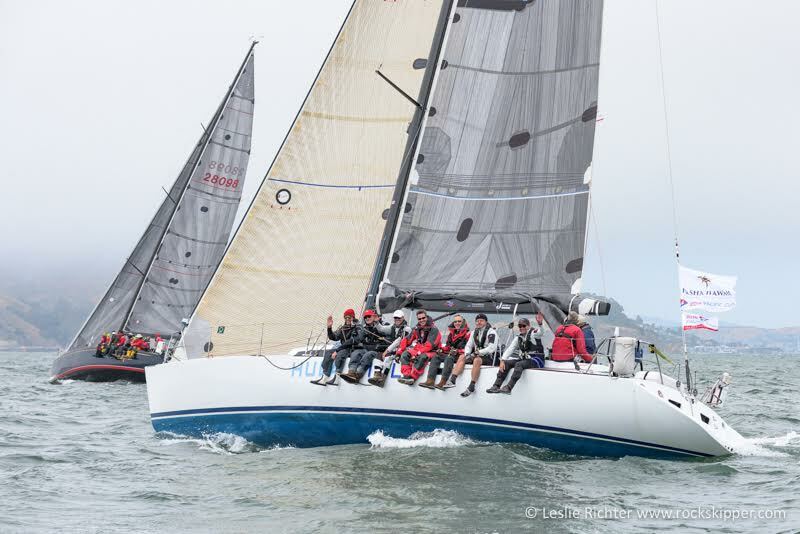 http://sailing-jworld.com/wp-content/uploads/2016/07/IMG_20160729_165259274.jpg 742 1000 jworld http://sailing-jworld.com/jworldwp/wp-content/uploads/2015/01/Header-Logo.gif jworld2016-07-31 00:30:112016-10-19 18:30:44Hula Girl Rocks.... and Jade Rocks! J/World Wins Division in Pacific Cup, Second Overall in ORR!! Ok, I have to apologize for not getting a final report off to you all on the final day of the 2016 Pac Cup. I usually like to write an event summary on the way to the finish line, but we were a bit busy this time. The title of the post says it all. Our J/World Team aboard Hula Girl was able to secure a first place in our class and second place overall in the ORR division (only being beaten by the Andrews 70 Pyewacket. Not only that, but as far as we can tell, we think we set a new SC50 record to Hawaii… I *believe* Horizon set the bar in the 2010 Pac Cup with 8 days, 11 hours, 46 minutes. Our time this year: 7 days, 20 hours, 3 minutes. Could it be that we are the only SC50 to ever have made the trip in less than 8 days?? I’ll defer to the SC50 historians for ratification, but it seems so. So what a year. We had solid breeze all the way from California to Hawaii. We had a fast, well prepared boat. 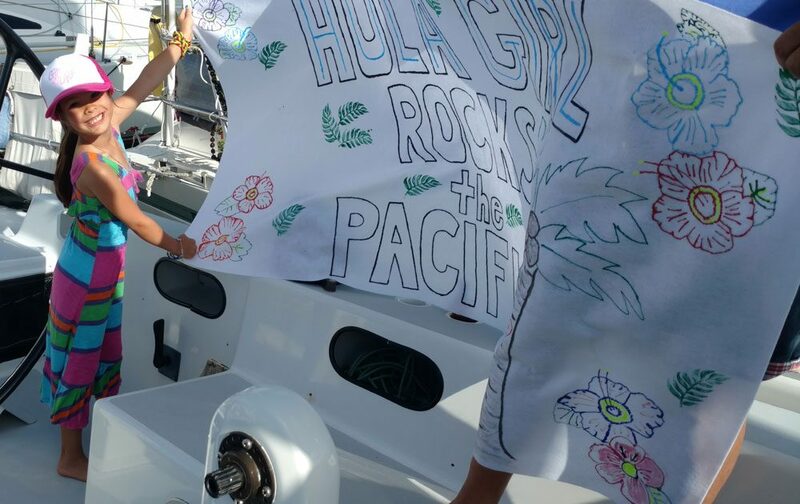 But most importantly we had a fantastic team aboard Hula Girl. Everyone worked hard in some challenging conditions. The first couple days were rad on beating/reaching in big breeze and lumpy seas. Then the heavy air run with some fairly dark nights and a confused wave pattern from the systems to the south. And it never let up, there was never a break or any down time. Through it all, our whole team gave it their all, and it paid off. 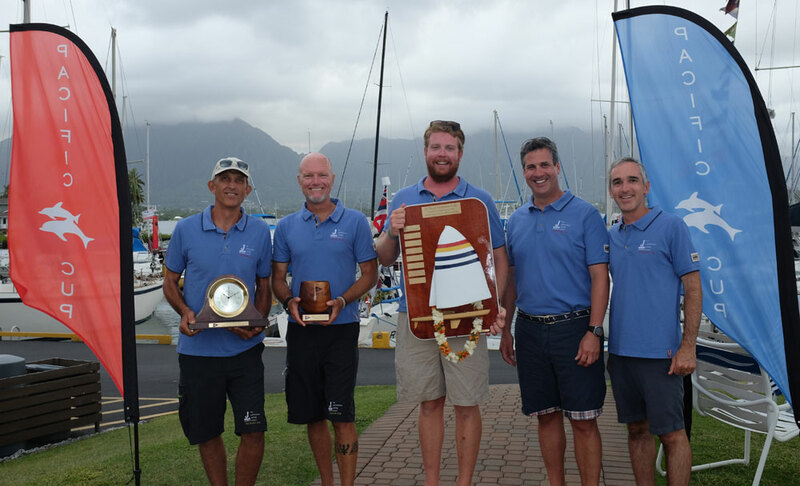 Morning arrival in Hawaii… under 8 days from California, and class winners! Not only did everyone perform well, but everyone was a true pleasure to sail with! The team dynamic aboard was fantastic, and it was a real pleasure to sail with each and every one of the Hulagains: Andreas, Brendan, Mike, Michael, Steven, and Chris. A big thank you goes out to watch-captains and J/World coaches Sean and Paul. So that’s what I have in terms of a wrap up. Nothing more to say for the moment. A huge thank you to all our supporters and fans who have been sending messages and congrats… we really appreciate all the support! Now I’m just going to decompress, clean up the boat, and it looks like we have a couple extra days in Hawaii this time, we got here pretty early. Maybe I’ll actually have time to sit on a beach somewhere and look out at the Pacific with a Mai Tai in hand. I think we earned it. For those of you who want to join the adventures, we have our annual Offshore Racing Seminar (San Francisco to San Diego) in early October, then the Newport to Cabo Race next March. http://sailing-jworld.com/wp-content/uploads/2016/07/20160729-20160729-DSCF2198.jpg 608 1000 jworld http://sailing-jworld.com/jworldwp/wp-content/uploads/2015/01/Header-Logo.gif jworld2016-07-24 03:45:172016-10-19 18:31:08J/World Wins Division in Pacific Cup, Second Overall in ORR!! 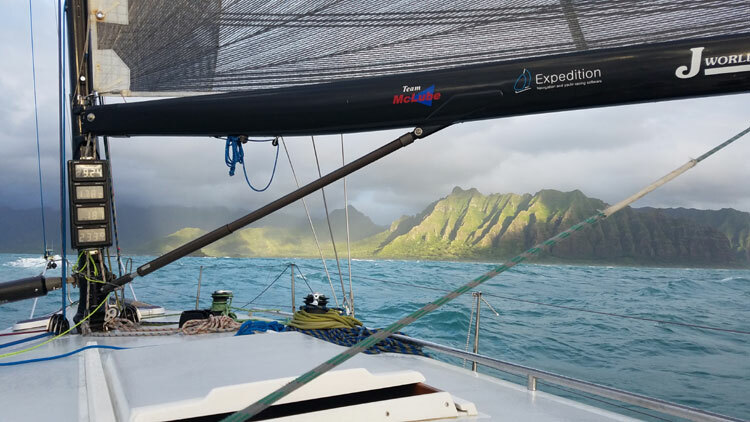 Since our departure from the California coastline, we have had solid breeze… and the outlook for the rest of the race is pretty sweet, too. 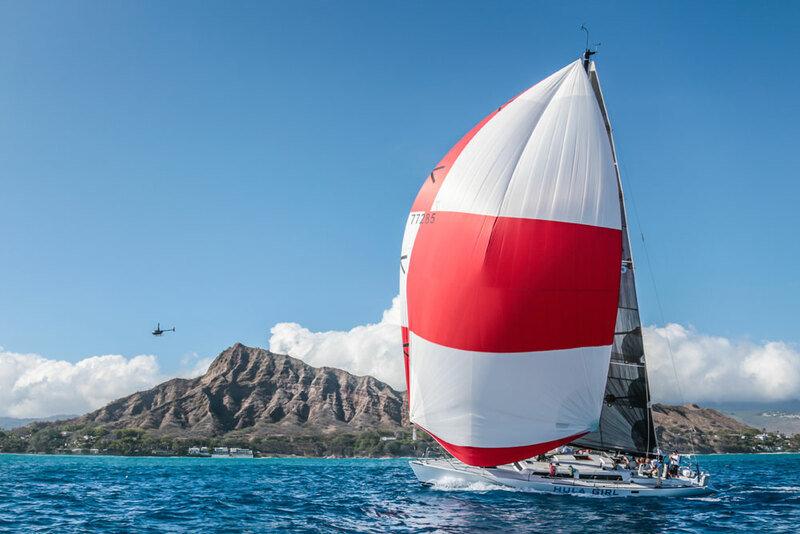 We are into day 4 of the race aboard J World’s Hula Girl and are quite enjoying the ride… well, now that the spinnakers are up, the crew mostly dried out, and the ride is fast. Hula Girl loves this stuff, and strutted her stuff through the night, holding on to our first in class position! The team is doing a fantastic job. Our crew is comprised of six sailors who have come together to race as a team with three J/World coaches aboard. While two members of the team have done offshore events with us before, this is essentially the first time we have competed together. It gives sailors the rare opportunity to participate in a Grand Prix event with a fully prepared and competitive boat. So, our learning curve is steep, but I have to say that I am really impressed with our group this year. Fun bunch, good bunch. Life aboard has been mostly routine, which is a good thing. Maybe we are going too fast or just concentrating on sailing the boat, but we haven’t seen too much wildlife. The captain of a cargo ship called on the VHF to say hi… he is heading to Hawaii and has the husband of a woman who is crewing on another Pac Cup boat aboard. Small world out here in the big world! Just wrapped up dinner aboard, and getting ready for another fast night. It is still cloudy, and we down-shifted from the 2A to the 4A for the night-time run, just to be safe. Andreas hydrated the freeze dried dinner perfectly. Steven just finished a great stint at the helm. Michael is trimming. And away we go… we’ll see you all on the other side of the night! http://sailing-jworld.com/wp-content/uploads/2016/03/9L6-1024x576.jpg 576 1024 jworld http://sailing-jworld.com/jworldwp/wp-content/uploads/2015/01/Header-Logo.gif jworld2016-07-18 20:05:352016-10-19 18:35:31Scootin! J World’s Hula Girl is Back in Action! Time to get you all report number one from J World’s Hula Girl in the 2016 Pacific Cup! We just started day three of our 2016 Pacific Cup, and things are starting to settle in. The world is leveling off, and (dare we even think it?) drying off. We started in the typical freshening SF breeze last Thursday. With a #4 jib and a reefed main, we had a nice start and were in top pack as we sailed out under the Golden Gate. Once clear of the ‘wind machine’ funnel which is the mouth of SF Bay, the breeze started to lighten and we shook our reef and eventually changed to our #3 jib. Then land faded into overcast distance and our small sleet of racers were all there was. We watched the outlines of our competitors into the early evening, then lost them too and we were alone. The breeze and waves were, however, our constant companions. I’m not sure it has dipped under 20 knots yet this race. So for the first 36 hours, it was hard on tight reaching. That means a loud boat as she launches off waves. That means a wet boat, as she lands back in the sea hurling wall of water in the wind, which in turn hurls it at the crew. The good stuff happens when you cross ridge and into the SE corner of the semi-permanent Pacific High pressure system which lives in the northern Pacific. This shift the breeze (and the swells) around behind the boat, and, well, away we go. It’s what makes this race so famous and popular. Well, I’m happy to say that this morning, just after roll call, we shook the reef and set our 4A spinnaker (heavy runner) in some 26 knots of breeze. 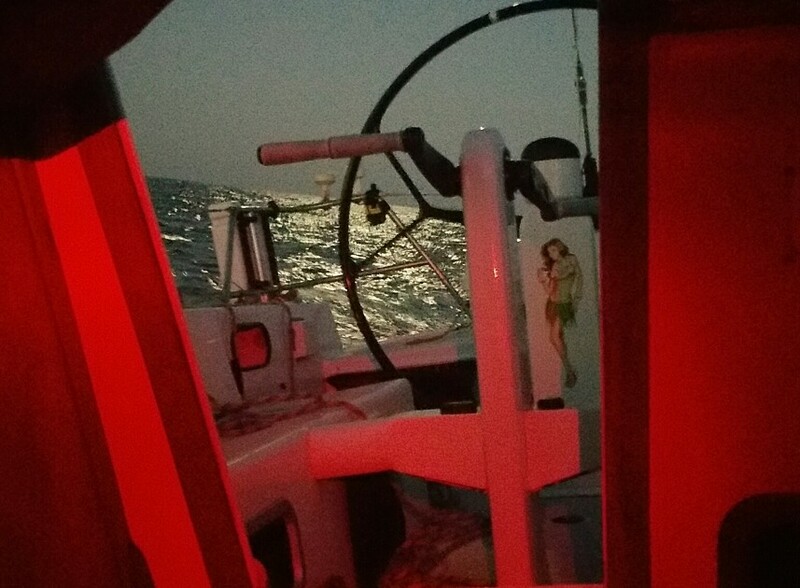 We are instantly surfing in the 15 knot range and it is trial by fire for the fresh crew aboard Hula Girl! So more positive news: after the kite went up we got the morning position reports and were gratified to learn that we had taken over first place! It’s really early in a very, very long race, but feels good to be in the hunt. The breeze is still blowing strong, and it is forecast to be a windy trip over. It’s already been a fast one… we covered 500 miles in the first 48 hours. So now to just keep the wheels on the wagon, so to speak! 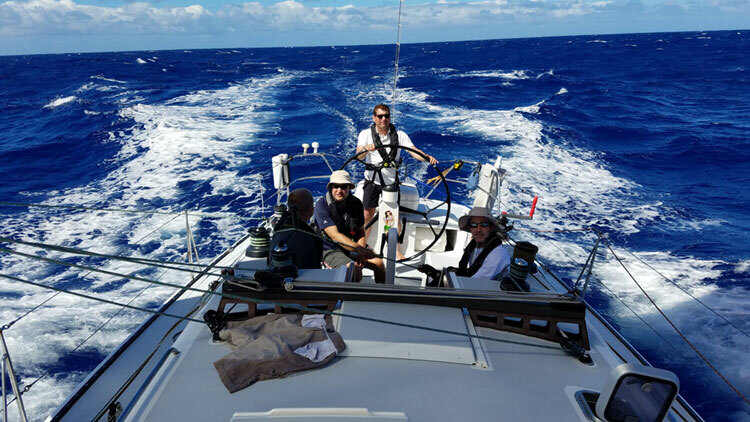 Life onboard is good… crew is happy that the slamming of the upwind leg is gone. The boat is level, and much more comfortable. It’s still cloudy, but we hope to punch out into some sweet Pacific sunshine before too long. Click HERE for a link to a great photo of the ol’ Girl and her crew at the start! http://sailing-jworld.com/wp-content/uploads/2015/09/Hula_Girl_FR-22.jpg 667 1000 jworld http://sailing-jworld.com/jworldwp/wp-content/uploads/2015/01/Header-Logo.gif jworld2016-07-17 00:52:262016-10-19 18:36:33J World's Hula Girl is Back in Action!